Injured Nigerian midfielder Wilfred Ndidi will be fit for the World Cup even though his Premier League season with Leicester City is over, national team spokesman Toyin Ibitoye said on Monday. Ndidi, 21, is nursing a hamstring injury and is expected to be out of action for several weeks. However, Ibitoye said on a radio programme in the Abuja that the highly-rated defensive midfielder would be fit and ready for the tournament starting June 14. “He’s making good progress, I have been in contact with the medical team (of the Super Eagles) and he is recovering faster than they had even anticipated,” Ibitoye assured. 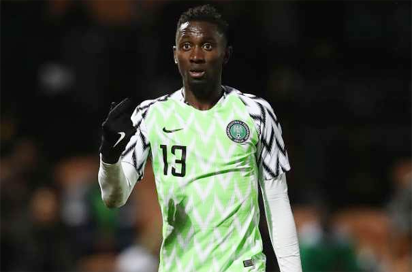 Ndidi has been ruled out of the World Cup warm-up games against DR Congo in the southern city of Port Harcourt on May 28 and against England at Wembley on June 2. The post Wilfred Ndidi expected to be fit for World Cup appeared first on Vanguard News.